The first issue of the hit Image Comics southern crime series SOUTHERN BASTARDS, written by Jason Aaron (Scalped, Wolverine, The X-Men, Thor: God of Thunder) and drawn by Jason Latour (​Loose Ends, Wolverine & The X-Men, Django Unchained), has sold out instantly at the distributor level. In SOUTHERN BASTARDS #1, readers are welcomed to Craw County, Alabama—a breeding ground for bastards and the setting for gritty, deep-fried crime. "Southern Bastards is perfection. There's this great, slow menace to it. Southern Bastards #1 is a perfect comic for you if you like to read... anything." SOUTHERN BASTARDS #1 has completely sold out at the distributor level, but may still be available in comic stores. It is currently available digitally on the Image Comics website (imagecomics.com) and the official Image Comics iOS app, as well as on Comixology on the web (comixology.com), iOS, Android, and Google Play. Image Comics is pleased to announce that the first issue will be going back to print to meet customer demand. 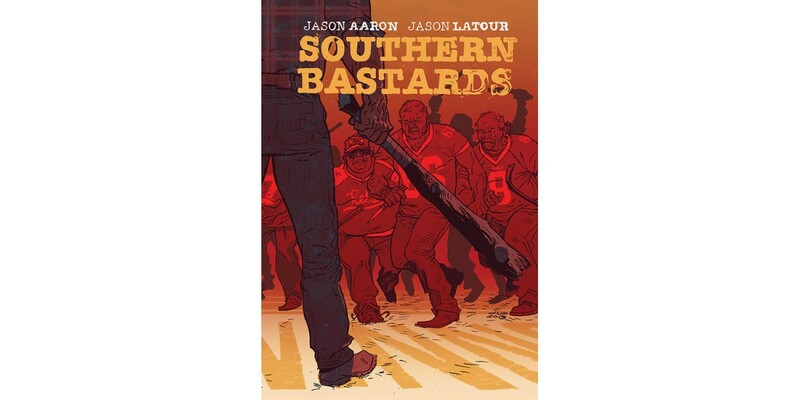 The second printing of SOUTHERN BASTARDS #1 (Diamond Code MAR148275) will release on 5/28. SOUTHERN BASTARDS #2 will release on 5/28 and can be pre-ordered with Diamond Code MAR140601.